Solutions: The problem is cause by defective inverter. Replacing ivnerter will solve hte problem. Symptom: Screen flash on and off between 1/2 to a few seconds, but power indicate light stays on and TV still has sound. Solutions: The problem is cause by defective Main Board(AD Board). 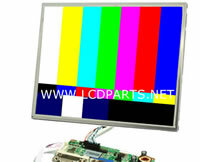 In some cases, this problem may cause by the defective Screen Controller board. 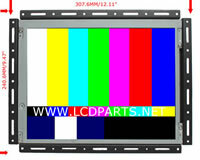 Thsi board is mounting on teh back of LCD TV Screen. Solutions: The problem is cause by defective Main Board(AD Board) or Power supply board.